Thanksgiving remains one of my favorite American holidays. The reasons are simple: first, there’s great food and lots of it; second, there’s often travel to visit family; and third, it’s usually less commercialized than Christmas. 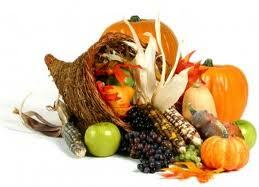 The reason for the existence of Thanksgiving as an American tradition is about giving thanks to God. Sadly, giving thanks to God for everything in our lives is not a tradition in many if not most American family gatherings. For so many people, thanksgiving as an American tradition has been divorced from its roots and God is not mentioned. In short, it’s just like every other day. For many Americans, this holiday is about turkey and football. 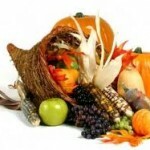 Some have even called it “Turkey Day,” which leaves giving thanks to God completely out of the dialogue. But alas, I’m preaching to the choir. After all, the people who read blogs like this are most inclined to be very mindful of God and His blessings, especially at Thanksgiving. I’m certainly not opposed to good feasting, watching football, or shopping for bargains after Thanksgiving. To be honest, my family enjoys visiting the larger metropolitan areas during this time of year. And yes, we also enjoy shopping and looking for bargains. We think it’s fun to see all the stores decked out for Christmas even in late October! As strange as it may sound, even this aspect has always been part of our family traditions from generations past preparing us for the season to come. Yet in its purest form Thanksgiving has always seemed less prone to commercial exploitation than other holidays. We are essentially pausing to give thanks to God for all of His blessings. We are extraordinarily blessed by God. We have much for which to give God thanks. For those of us in Christ, even our trials and difficulties are really blessings in disguise. For believers we know that God causes all things to work together for good. So even “bad” things have a redemptive purpose in our lives as Christians. It all has meaning and a design. The Puritans might have called these difficulties “frowning providences.” And we have been taught to see these hardships as loving messengers of God’s uncomfortable grace in our lives. So the most important part of our traditions during this season of Thanksgiving and Christmas is giving thanks to God and delighting in the fact that He is in control of all things.